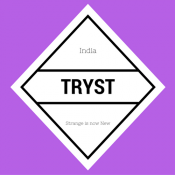 Tryst is a free chat app on your Android Phone (iOS will be made later) which let’s people over the world connect with people nearby and still make it possible to remain anonymous. It’s simply a “Location Based Anonymous Chat App”. It makes sure that you have at least one chat buddy all the time. Tryst assures you that you will have the best chat experience ever, online. It’s not exactly an dating app, but we are more than happy if it could do that for you! Neil is a Tech Enthusiast, Blogger, Developer and and Aspiring Entrepreneur. His areas of interests are Social Networking, Artificial Intelligence, Machine Learning and Cyber Security.